Supports the body's efforts to fight off the virus that causes cold sores and the various types of herpes. 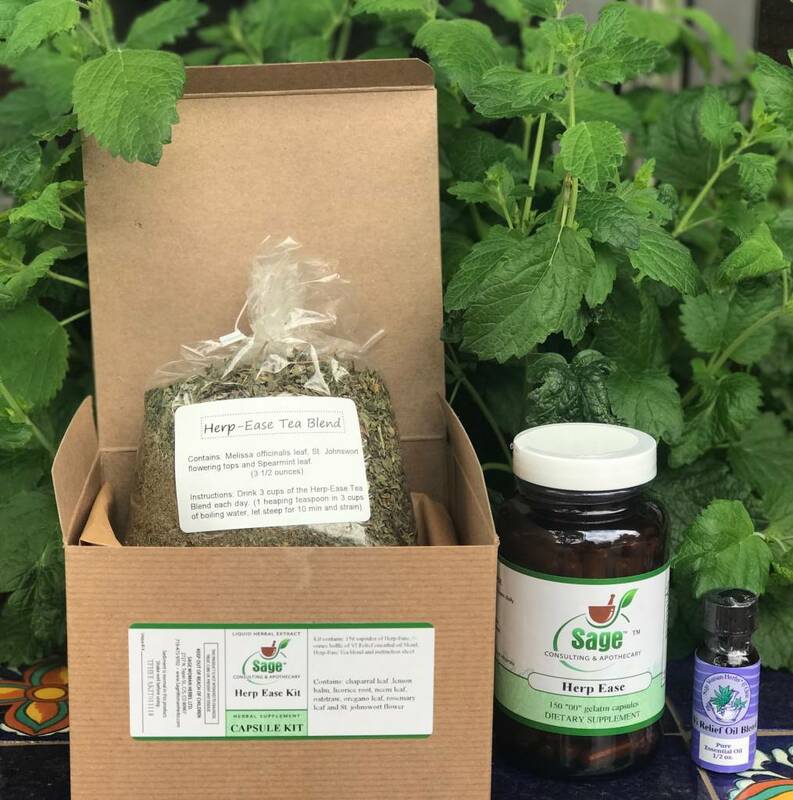 Ingredients: Rosemary lf., Chaparral Leaf, Lemon balm lf., Licorice rt., Neem Leaf,St. Johnswort Flower, Oat seed & straw and Oregano. - 150 capsules of Herp-Ease formula Capsules. - VI Relief, an essential oil blend, contains pure, undiluted tea tree, oregano, bergamot and rose geranium essential oils. 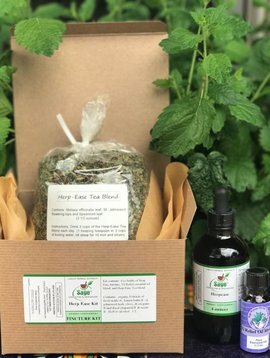 - Herp-Ease Tea blend, containing a combination of Melissa leaf, St. Johnswort flowering tops and Spearmint leaf.